We would like to thank you for your interest in Grandmaster Hwang’s Program. Providing a Challenging and Motivational Introduction to the Korean Art of self-defense by one of the World’s most highly sought after Masters and Competitors. Grandmaster Hwang’s program was specifically designed by her to build a strong foundation in Children that in addition to physical fitness, develops discipline, honor, self-control, respect, focus, perseverance, confidence and knowledge. Additionally, through her lifestyle and example, Children are exposed to a new Culture and its Traditions. With Faith and Prayer all is possible. Taekwondo practitioners are expected to show respect for their country, their school, their instructors, their fellow students, their parents and even their opponents. The Physical Training and Exercise is intense and works on developing specific Muscle groups. When the speed and power developed through Taekwondo is used in a self-defense situation against the vulnerable parts of an attacker’s body the results can be incredible. Through Taekwondo as students accomplish new goals their confidence level increases. Taekwondo instills a sense of discipline, Focus, and self-confidence that can carry over to all aspects of life. This program offers children a strong foundation in essential character qualities such as courtesy, respect, and discipline. In addition, the program is designed to improve children’s motor skills and enhance their ability to Focus and Follow directions. This program offers older children a strong foundation in essential character qualities such as Honor, Self-Control, and Confidence. In addition, the program is designed to improve Students motor skills and enhance their Humility, Fitness, and knowledge. What makes our school unique? Traditional Taekwondo teaching by World Champion Grandmaster Hwang. The highest quality of instruction available in the area. Over 25 years of experience! Grandmaster Jin-Ah Hwang was born in Daegu, South Korea where she started in Taekwondo at age 7. Studying from 5 am to 10 pm, over the next several years she proceeded to win many prestigious tournaments and became a well-known and Fierce Competitor. As her skills and competition experience grew, she was offered a scholarship to one of the most prestigious Korean University’s offering Taekwondo as a Degree, Keimyung University in South Korea. While there she earned Certificates in Sports Massage, Taekwondo Aerobics (Dance), Poomsae, a black belt in Judo, Hapkido, and attained her 5th Degree black belt in Taekwondo. In 2016, at only 31 years old, she became the one of the youngest Korean female Grandmasters in the world after attaining her 6th degree Black belt from Kukkiwon. Ever since achieving her 3rd Black belt in Taekwondo, she has been actively involved in teaching and coaching. In 2007, after placing 1st in the Fourth National level Competitions and 1st in the International University Taekwondo Invitational Tournament. She had finally reached the pinnacle of her profession and was given the International recognition she earned. Her Exceptional skills in Taekwondo and the Art of Poomsae made her somewhat of a Celebrity in South Korea where she was asked to Endorse Products and even found herself on Billboards around the Country! Graduating from Keimyung University with a Bachelor’s Degree in Physical Education, a major in Taekwondo, and having achieved her 5th degree Black belt from Kukkiwon, (The World’s highest Taekwondo governing authority), she was invited to join the Korean National Demonstration Team. As a member of this Prestigious Team, she participated in Demonstrations all over the world, including the Beijing Olympics in 2008. Highly sought after, she chose to from Teach under Grandmaster Woo Ha Seong at Seon-in Taekwondo Academy in Korea. While there, she continued to compete and win National and International Accolades. She was also awarded Sparring Match Instructor and Master Instructor from Kukkiwon. Master Hwang received a “P-1” Visa from the USA. This Visa is reserved only for the World’s Top Internationally Recognized Athletes. Grandmaster Hwang is most proud of the fact that she will soon be an American Citizen. As a rare woman in a male dominated sport, she still appreciates her Christian values and is quite Humble. She is also one of the kindest persons you will ever meet. As one of the World’s Top Five Taekwondo Instructors, Master Hwang moved to the USA to pursue her dream of bringing the finest in Traditional Korean Martial Arts Training and Culture to America’s Children. After 5 years in Tampa, Grandmaster Hwang is now expanding into Winter Haven, Florida. Wallace Westall is an experienced collaborative Serial Entrepreneur and corporate team player with a demonstrated record of achievement. He is a highly successful Serial Entrepreneur. Currently, he is President of TKO Taekwondo and it’s affiliates, CEO of Virtual Media Holdings, Inc., CEO ApolloVu, President of Mobile Media Consultants, President HH Aerial Productions, President 855SkyView.com, and partnered with TMD Dealer Solutions. 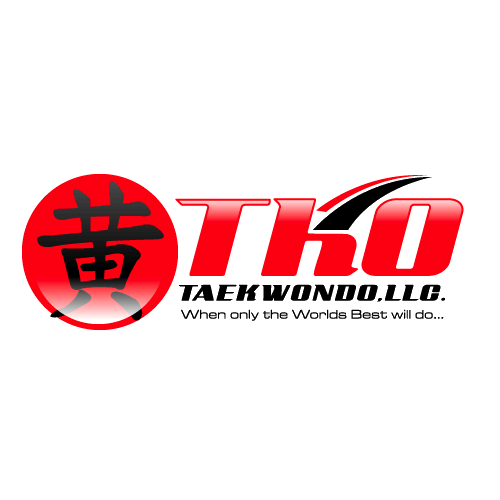 With TKO Taekwondo, LLC., Mr. Westall has developed a Company in 2012 with one of the World’s Top Taekwondo Masters, Grandmaster Hwang, which we intend to franchise. The company specializes in School Enrichment Programs. These programs will introduce school children to the Ancient Korean Martial Art of Taekwondo. This includes it’s Tenets and values. The results build skills in character, respect, honor, integrity, and self-confidence. These in turn help children with life skills and often improve their performance in school. We have moved the company to a profitable position in only six months. We expect to double profits annually for the next three years. In February 2015 we hired our first two Franchisees. 2017 we are opened our first 3000 sq. ft training facility in Winter Haven Florida. We will continue to grow and dominate our markets. Wallace is a board member for SEED (Serving and Encouraging the Elderly and Disabled) – An incredible Non-Profit run by two of the sharpest most caring people on earth. He is also a fundraiser for the Susan G. Komen Breast Cancer Foundation. TKO has created a Pink Belt to help create awareness and fight this harrowing disease. Mr. Westall Graduated from James Madison University with a Business Degree. Sign up today for your free trial class. If we’re a good fit, join our 3 Week Trial!